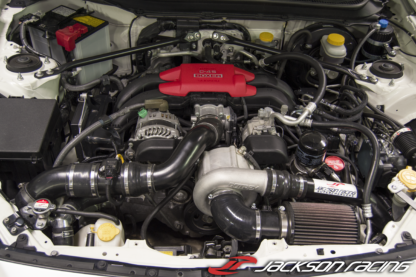 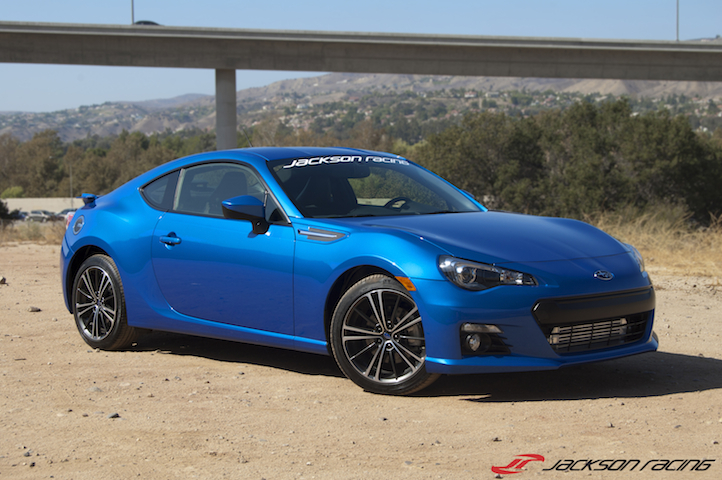 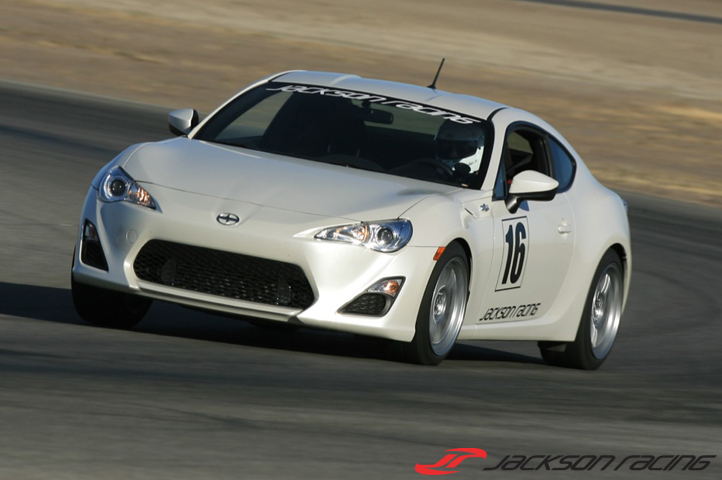 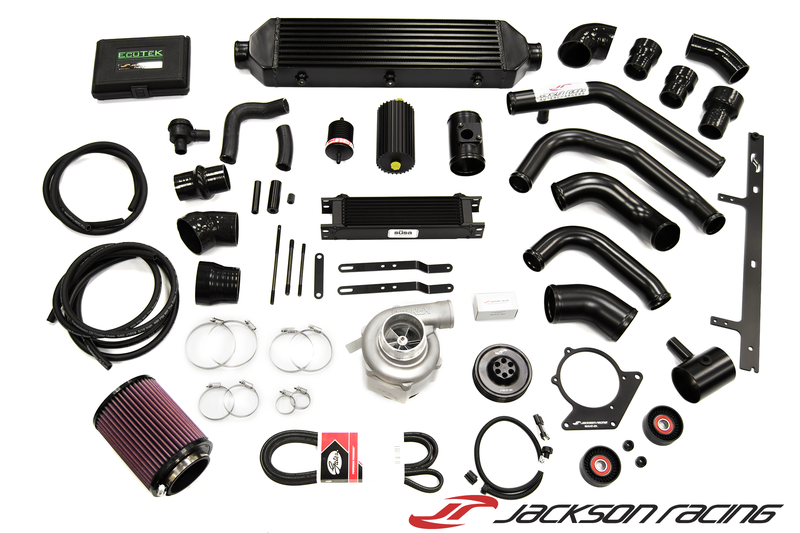 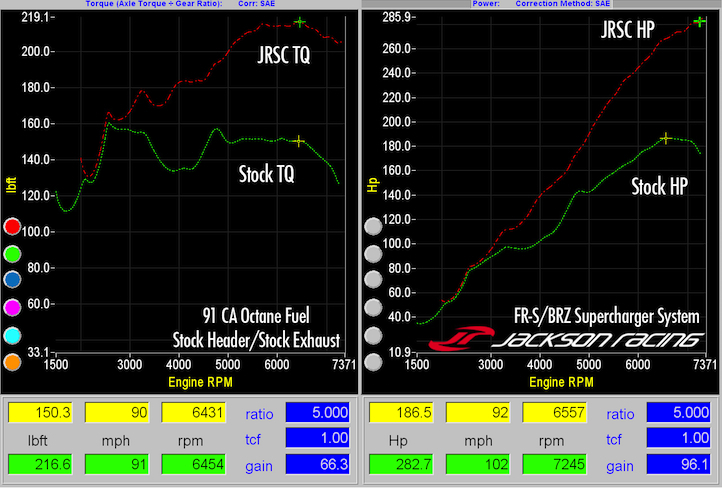 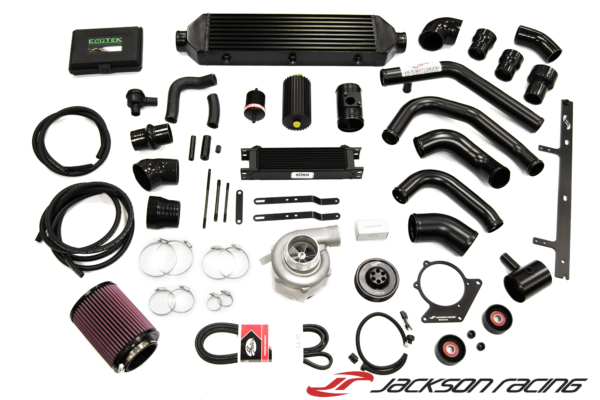 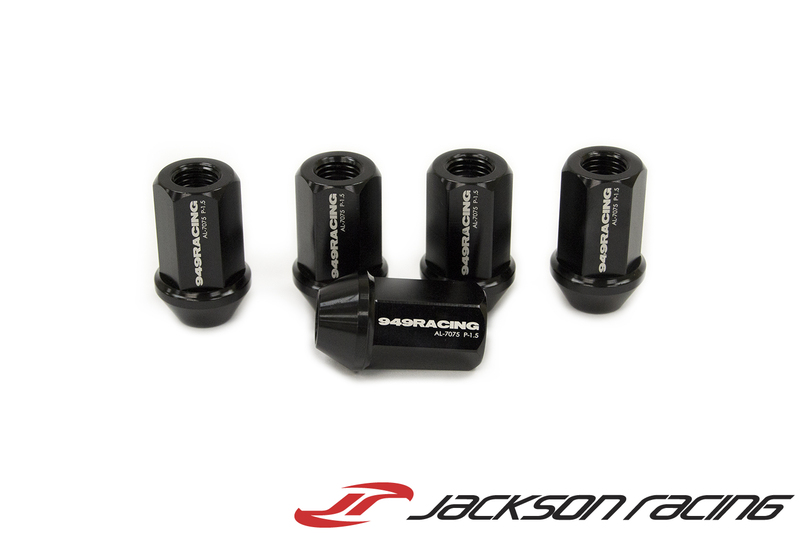 The Jackson Racing FR-S/BRZ C38 supercharger system delivers an impressive 50% increase in HP and 45% increase in TQ over stock! 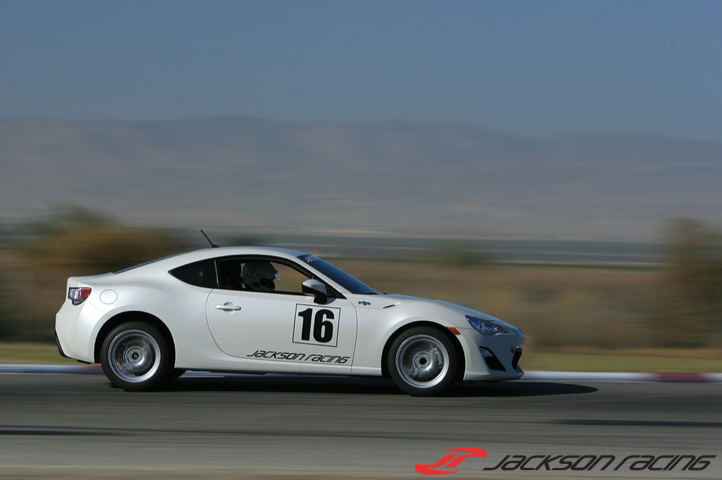 The power and torque delivery of the Jackson Racing supercharger system gives the FR-S/BRZ the perfect balance of power and handling. 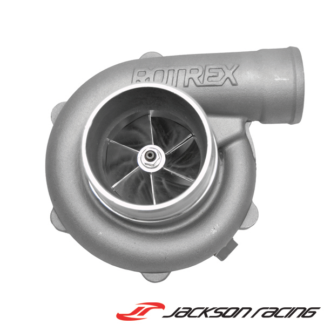 The Rotrex C38-81 supercharger provides a strong and smooth power band, while also maintaining perfect drivability and excellent fuel economy. 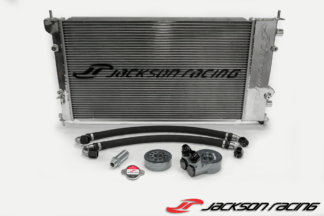 Also, the Jackson Racing intercooler system is unique in the FR-S/BRZ market and has been engineered for proper bolt-on fitment. 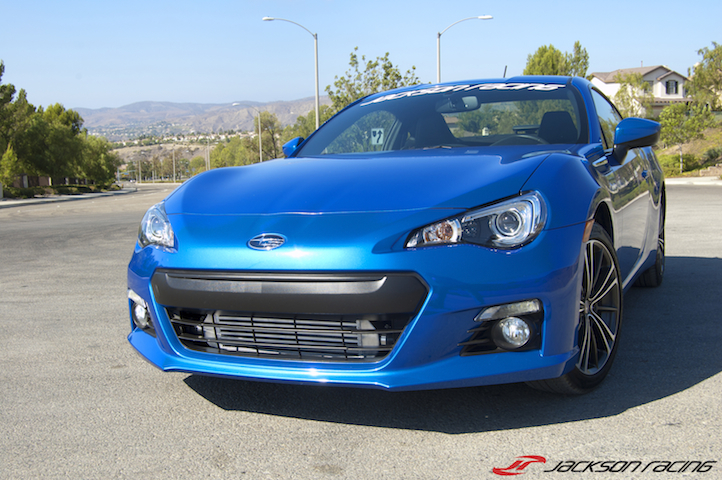 A: Our Factory Tuned FR-S/BRZ supercharger system has received the CARB EO# D-700-5 and is 50 state emissions legal.